FC Barcelona is joining a strike to protest against the Spanish government's actions in Catalonia's independence vote. None of its professional teams will practice on Tuesday. Barcelona said on Monday its youth teams also won't train, and the club headquarters will be closed. Fellow Catalan club Girona also suspended practice on Tuesday, and Espanyol, another Spanish league team based in Barcelona, will have its players undergo physical activities behind closed doors at its training camp. Barcelona tried to postpone its home match on Sunday during the referendum but the league denied its request, so it closed Camp Nou to spectators to send a protest message and avoid losing points and being sanctioned. It beat Las Palmas 3-0. Officials said more than 890 civilians and some 430 members of the police force were injured in clashes as the central government tried to halt the disputed independence referendum that it called unconstitutional. The club, one of the main symbols of Catalonia, has openly backed the region's rights to hold the referendum. 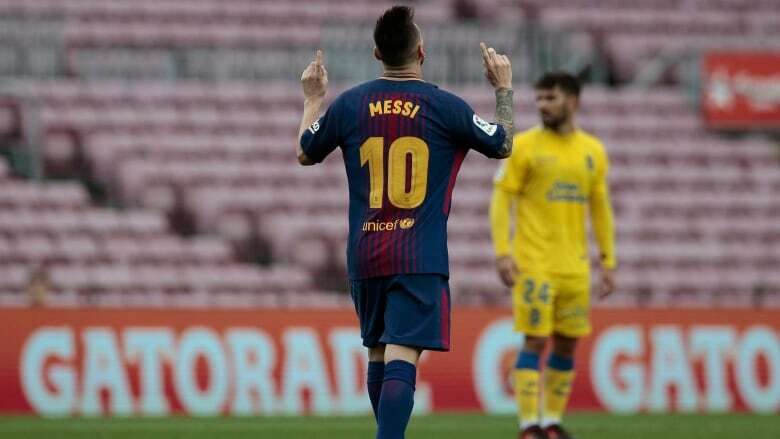 Many club members didn't want the team to play at all on Sunday, but then it would forfeit the three points from the match against Las Palmas and risk losing another three points from a sanction. Defender Gerard Pique, one of the most outspoken players defending the Catalans, teared up after the game as he talked about confrontations between voters and police. Authorities used batons and fired rubber bullets to clear protesting voters across the northeastern region. Barcelona's employees on Monday held a 15-minute strike to condemn the violence used by authorities. Espanyol said it will respect its employees' decision on whether to strike, while Girona said the entire club will be closed. "The club condemns the violent and repressive actions carried out Sunday in Catalonia and shows its support and solidarity with the country's citizens and institutions," Girona said in a statement. Barcelona's main squad is without some of its top players because they have joined their national teams in the international break.